For those flight students who wish to fly be professional helicopter pilots, a commercial rating is the next phase. This stage of your flight training will build on skills learned during your private pilot flight school. You will also master more advanced maneuvers typically found in commercial flight operations like confined areas, slope landings and additional emergency procedures. HeliBlock offers many professional helicopter services including, helicopter tours, charter flights, aerial photography and animal survey, providing students learning to fly with a wide variety of practical experience. 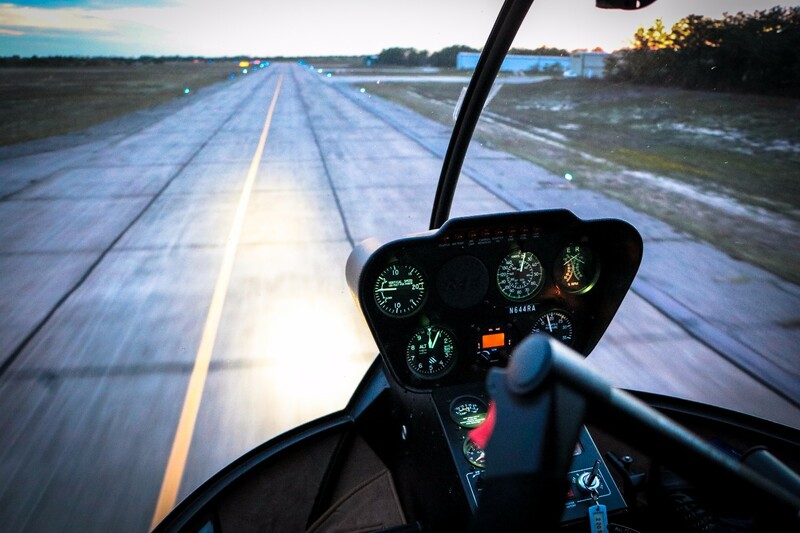 Although not necessary for a commercial rating, an Instrument rating will allow a helicopter pilot to fly referencing his or her instruments, without the need to look outside. At HeliBlock, we suggest working on your Instrument rating while you are building time for your commercial pilot certificate, accomplishing two goals at the same time. Because some helicopter operations may take place in inclement weather, many companies are now requiring helicopter pilots to have an instrument rating to be eligible for employment. Like any other industry, aviation technology is always changing and at HeliBlock we adapt accordingly. The helicopters we use for Instrument training utilize the most up to date technology equipped with autopilot, full glass cockpits, G500’s, and G750’s giving the flight school student the most effective flight training possible.